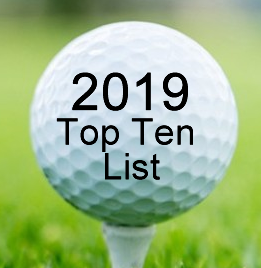 In general, all putters perform admirably, particularly in the hands of golfers, who know how to putt, practice often, and most importantly, have been custom fitted and their attitudes toward putting adjusted. These putters are amongst the newest, most popular and technology laden with innovative designs to capture the attention of any golfer. Odyssey is the #1 Putter brand in worldwide Tour wins and worldwide putter usage. This particular style, the #7, has been one of Odyssey’s most illustrious performers. So much so, that almost every putter manufacturer has introduced a similar style putter. 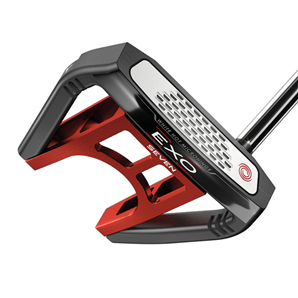 Rest assured, you have never seen a putter like EXO before because Odyssey has never made a putter like this before. It starts with maximum forgiveness created by an advanced multi-material construction. The precision milled wire frame is incorporated into each model that allows the weight to shift to areas of the putter to improve stability on off-center shots. Odyssey has significantly increased the MOI for more consistent ball speeds and accuracy. The EXO 7S delivers an incredibly high MOI design from a premium multi-material construction. With the lightweight 6061 milled aluminum in the center, Odyssey took the weight away from the center of the head and redistributed it into the perimeter of the head, which is made of 17-4 stainless steel. The Odyssey EXO 7S model is a double bend mallet that offers maximum forgiveness from the merging of multi-material construction. 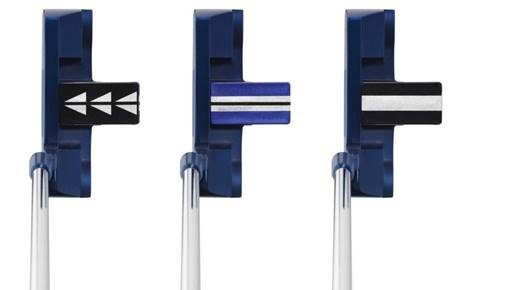 The EXO putters merge with the legendary White Hot (polymer face insert) feel and the Microhinge insert. The latter insert providing an immediate roll of the ball. The White Hot is one of the most successful inserts of all time with its revolutionary feel, incredible sound, and iconic performance. Odyssey has taken White Hot and combined it with their proven Microhinge technology that creates an immediate forward roll for more consistent accuracy and distance control. Odyssey continues to lead in the mallet category, and EXO provides both face balanced options (which reduce face rotation in the stroke) and toe hang options (which allow for more face rotation in the stroke) on each model. Whatever stroke path you have, Odyssey has mallets with ultra-high MOI to help you make more putts. It can safely be said that an Odyssey Putter is a promise made. Sure, Odyssey designs each of their putters to help you slay more demons and sink more putts. It feels like a restrained puppy on a leash – just ready and excited to find the hole! But Odyssey also designed them to withstand any kind of punishment you can dish out and they back them up with an Odyssey assurance of quality. Every one of our testing group raved about the EXO. They found that the putter has a bit more of a firmer feel that offsets the softness of today’s golf ball technology and produces more of a pure sound off the club face. They felt that a dead-center strike, even off miss-hits, was prevalent and comforting! The easy alignment features with its parallel ball-width double lines and 3-dot center marks and the buttery feel of the putter instilled more confidence than their gamers. The EXO lineup is offered in three of their most popular shapes: the Seven, the Rossie and the Indianapolis, all of which are available in Face Balanced and Toe Hang options to fit your stoke. And combined with Callaway’s just in time for July 4th new Chrome Soft Truvis Stars & Stripes golf balls, Technicolor has come full circle on the putting greens. ($44.95 per dozen). 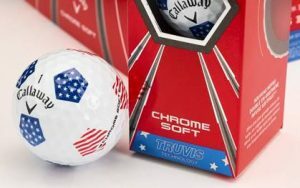 These new golf balls feature patriotic red, white, and blue colors using their highly popular Truvis pattern. Stars are designed inside the blue Truvis patterns on the ball, and stripes are designed inside the red Truvis patterns. Each of these new golf balls (and all Chrome Soft Golf Balls) are made in the U.S.A. at Callaway’s state-of-the-art golf ball plant in Chicopee, MA. The Truvis Stars & Stripes also has the performance characteristics of Chrome Soft, including a Dual SoftFast Core for fast ball speeds and low spin off the driver, soft feel, pinpoint green side control, and forgiveness. Legendary Bobby Bettinardi has done it again! Quality personified and putters that perform are Bobby’s trademark. Bobby creates works of art. Even his product brochures deserve media awards. By utilizing features from both the Antidote and iNOVAi, the 350 gram BB56 is the most intricate, distinguished looking and advanced putter in the BB Series 2018 lineup. 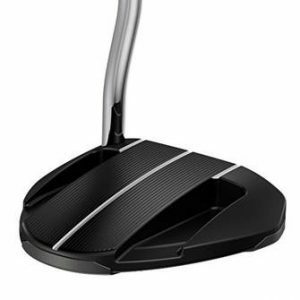 It is also one of the best looking putters on the market. Our testers loved the electric yellow paint scheme. They really loved everything about the BB56! No negatives reported. 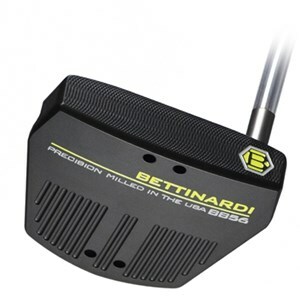 The Bettinardi BB56 350 gram head is milled from a single block of 6061 military grade aluminum and features a special topline weight made of 303 Stainless Steel to create a long site line at address. By relocating the stainless steel weight directly behind and above the equator of the ball at address, combined with a high MOI head shape, the CG (Center of Gravity) is raised, resulting in consistently solid contact and proper roll, even on miss hits. The vented channel grooves on the sole and flange create an aerodynamic appearance at address, further improving aim characteristics. Both right and left-hand models are available with the Stealth Black Matte finish and feature an aggressive Bettinardi face milling technology named the Super-Flymill, which creates both the consistent speed and feel expected and demanded by the world’s best players, as well improved feedback for a softer and crisper feel at impact. Previous BB models used the Micro Honeycomb milling methodology, which according to Bobby, did not deliver as soft of a feel as the Super-Flymill tends to deliver. A matching deep-etched cord Lamkin grip is available in either standard or jumbo sizes, and the head cover is a work of art. The standard loft is 2° because of a deeper CG (usually 3°) and with a lie of 70° and a 1/8 Toe Hang. Toe Hang helps golfers deliver a square face, regardless of their stroke. So the stronger the arc, the more Toe Hang needed. Lengths are available in 33’ – 35”. There are four models in the 2018 line – BB1 and BB56 in both left and right-handed models and the BB29, and BB39, which are only available in right-handed. 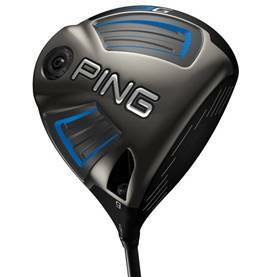 The BB56 is more suited for a golfer who uses a straight-back swing path. When you get a chance, also check out the elegant Bettinardi leather belts and buckles on his web site. I suggest you visit a PGA Superstore or other golf shop and see which Bettinardi putter model suits your swing. PING putters are always going to be in demand, especially on all the Tours. PING makes such great products that perform consistently and set the standard for putter design and performance. The Sigma G putters set new performance standards in feel, stability, and touch. This particular putter is for those golfers who use a slight arc stroke path and prefer a mallet putter. Similar in style to the Odyssey and Scotty Cameron #7 or “prong- look” style heads, the entire hitting surface is covered with an innovative insert combining highly responsive Pebax® elastomer and a milled aluminum face to provide full-face forgiveness. This softer feel and consistent ball speeds will help you sink more putts than ever. The “prongs” show the heads path away from the ball, and the single sightline really focuses attention on your intended impact location. The high-energy Pebax elastomer insert behind the 370 gram anodized 6061 aluminum face provides a soft feel without slowing ball speed and ensures full-face forgiveness and consistent distance control. Combined with PING’s True Roll Face Technology, expect improved consistency and fewer three-putts. The lightweight, soft and tacky PING PP60 Pistol tapered grip is mid-sized and rounded in shape to provide a comfortable, natural feel in the contours of the hands. The standard length is 35” with a lie angle range of about 4°. The aiming/sight line sits on the top line of this black Nickel finished putter. Another mallet styled putter. This putter is one of the best putters I have used. This is a total confidence boosting putter. It’s hard to miss putts! If you love a mallet style putter, love to see the how well a golf ball can really roll and feel that magic, literally and figuratively, look no further. Our testing group found that aside from the luxurious look and craftsmanship that the sight lines and ability to change weights sold them on this putter. Custom weighting delivers a broad array of options within models to help you match your length and balance preference. The 365 gram Ketsch has steel heel-and-toe weighting and works great with both slight arc and straight stroke types. The hosel bend determines whether a model is a slight arc, straight, or strong arc. The lie angle is plus-minus 2 °. PING continues their use of their Precision-milled True Roll Face Technology, which ensures full-face forgiveness and a soft feel for consistent ball-speed performance. The individually milled face pattern varies in depth and pitch across the face, which speeds up off-center impacts, improving consistency, and ultimately leading to fewer three-putts. If you are looking for a putter that has a Tour caliber feel and touch, the Ketsch is the answer. With all its True Roll face technology, premium finishes, machined craftsmanship, luxury components, and quality refinements (weighting, grip selection), all contribute to providing a refined, tour-caliber feel and performance. A Slate finish is also available. 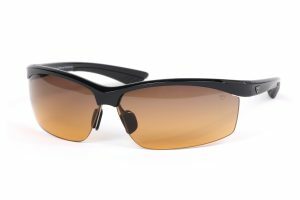 Standard-length models 34″-36″ have steel heel-and-toe weighting; models 34″ and shorter feature tungsten weighting that is 15g heavier than the standard weight; models 36″ and longer have aluminum weighting that is 15g lighter than standard. The awesome PP60 Midsize/61 exaggerated pistol/62 with thick and rounded grips are available, and you can be assured there is a grip for you that will make the putter feel marvelous. The SeeMore FGP Original putter was the winning putter Zach Johnson used at the 2007 Masters in one of the greatest clutch final putting rounds in history. All SeeMore putter models have SeeMore’s patented RifleScope Technology (RST) Alignment System, for a true reference point for perfect alignment and set up on every putt. This putter is face balanced at impact or “balanced to plane”, meaning it’s dynamically balanced to the angle you putt and naturally returns to square at impact – less manipulation during the stroke to keep the putter face on the correct path. It is my opinion that every golfer, beginner or Pro, should have at least one SeeMore putter in their collection. And, most golfers have “collections”. Makes me wonder what causes this obsession for putters? Is it because it is a new type of putter, is the marketing of a putter that remarkable, is it because the Pros use it, or because they have not been custom fitted for a putter. Our testing group were enamored with the 350 gram m7x, especially with the RST. Many of the group felt they were getting a “twofer” – a great putter and a teaching aid. 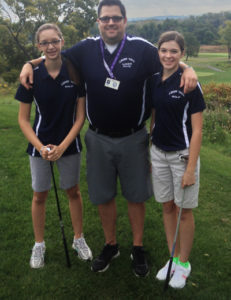 Once they saw the errors of their ways from their previous putting technique, there were many smiles and fist pumps! The m7x Private Reserve is a beautiful and sleek, slightly oversize, 100 percent milled blade, with a classic heel/toe weighted design. The m7x PR consists of a platinum finish 303 stainless steel body, with an enlarged milled aluminum insert integrated into the face which provides enhanced forgiveness, feel, and roll. The m7x is SeeMore’s most exclusive new blade. 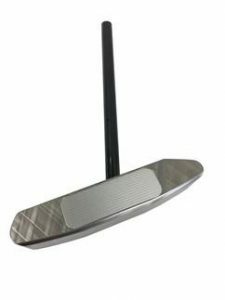 It retails for $450.00 which is a premium priced putter any way you look at it. The m7x incorporates the dynamic benefit of “Face Balanced at IMPACT”, also called “square to plane”, or “balanced to plane”. Putters in this category consist of blades and small mallets hosting a straight center shaft, or near center shaft design. They help the golfer develop an improved putting stroke. Every golfer should be custom fitted for their putter. As this is the most used club in the bag, it behooves you to find and use instruments that work for you. That’s one side of the equation. The other side is that the golfer has never seen, figured out, or listened to a teacher who can explain the face of the putter and its use thereof. If you don’t know which road to take, what difference does it make? In putting, you need to have a SQUARE FACE each and every time you set up in relation to the intended target line – period! This is why SeeMore is the best for determining a square face AND all their putters are available in both quality and style, as the aforementioned manufacturers produce, that should satisfy the majority of golfers. Enough of this search for the magic bullet/putter, I say! Occam’s razor (also Ockham’s razor or Ocham’s razor; Latin: lex parsimoniae ‘law of parsimony’) is the problem-solving principle that, when presented with competing for hypothetical answers to a problem, one should select the one that makes the fewest assumptions. The idea is attributed to William of Ockham (c. 1287–1347), who was an English Franciscan friar, scholastic philosopher, and theologian. Short version: It is a line of reasoning that says the simplest answer is often correct. As for putters, SeeMore fits the bill. Anyone purchasing a SeeMore putter from SeeMore or any of their authorized retail partners will find a company standing firmly behind its products and their performance. 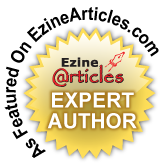 Seemore now has over 800 certified instructors, fitters and salespeople to help you. You will become part of SeeMore’s extended family of passionate players who love to roll the rock and cherish the lifelong pursuit of an improved putting game. 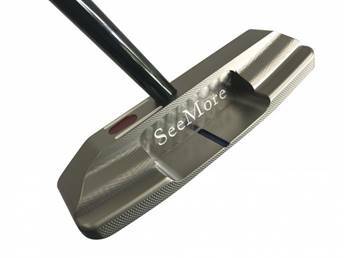 Anyone owning a SeeMore putter may contact the company at any time with any questions about their putting, their putting stroke, or their passion for the product. SeeMore welcomes this dialogue! As with most every putter manufacturer, they stand behind their product. SeeMore putters will engage the golfer in the possibility of a new and improved putting stroke through a consistent and repeatable putting system. They promise they will help you get there and they look forward to you putting them to this test and becoming another of their valued customers. The m7x is available in lengths from 30″ – 39″ – Standard or Counter Balanced Option with 2.5° of loft and a custom lie of 68° – 72°. Rosemark, PURE, Feeltec and Golf Pride grips are available in many configurations. The developer of this putter, Vikash Sanyal, was one of the original founders of Odyssey Golf and Never Compromise putters. He has a real good idea of what a putter should look like and how it should perform. Players who putt well do two things consistently on the greens; they line up accurately and they control their distance well. The Happy Putter Eye Align Series Putters are designed with value and superior alignment in mind. These putters feature 3 different alignment guides and 4 different sole weights (2 heavy, 2 light) to totally customize the feel and aesthetics of the putter. The anti-skid face technology ensures a true roll and reactive response, putt after putt. The blade putter includes adjustable weights to personalize your stroke and control your distance. The 3 interchangeable alignment guides are designed to appeal to various preferences, resulting in a truly personalized putter. His newest iteration is the Happy Putter which, according to Vikram, “the Happy Putter is the only putter on the market that addresses “Lazy Eye Syndrome”. The more familiar golfers become with a putter, the less their eyes focus. The Happy Putter allows golfers to refresh their eyes and switch their alignment guides without having to buy a new putter. One thing for sure, the Blue color of the putter catches everybody’s attention. Lexi Thompson was using this putter at the 2018 ANA Championship at Rancho Mirage. Every golfer has personal visual tendencies; some see colors better than black and white, some see thick lines better than thin lines and vice versa, while others see shapes better than lines. No matter what your personal tendency is, the Happy Putter comes with a guide that is customized for you. Currently only available in right hand only and lengths of 34’ and 35” in blades or mallet styles. This entry was posted on Thursday, May 24th, 2018 at 8:10 pm and is filed under Golf Equipment Reviews. You can follow any responses to this entry through the RSS 2.0 feed. Both comments and pings are currently closed.